The Islamic State in Iraq and Syria (ISIS) has decided to instigate a full-scale conflagration in Lebanon. All indications show that the al-Qaeda offshoot is resolved to bring back suicide bombings en masse to the country of the cedars. After all, Lebanon is within the borders of ISIS’ coveted emirate, yet its most important significance may be the fact that it is the home of Hezbollah, “the biggest enemy fighting Sunnis in Syria” in the eyes of the jihadis. Hence, hitting Hezbollah there would increase ISIS’ popularity in jihadi circles in Syria and among other global jihadi groups. Security sources have revealed to Al-Akhbar that the terrorist cells intercepted at the Napoleon and Duroy hotels in Beirut had been dispatched by ISIS as part of its strategy to overwhelm Lebanon with a formidable wave of suicide bombings. The security services base this reading on the previous modus operandi and strategy of the terrorist cells, and also the information relayed by U.S. and European sources, indicating that the suicide bombers had been dispatched by ISIS to Lebanon. By contrast, the security officials say the would-be suicide bombers intercepted in two Beirut hotels are likely to be part of a plot hatched outside Lebanon, which confirms that ISIS is behind them. According to available information, the jihadi operatives who have been activated are mostly combatants who travelled from Syria to Lebanon via Turkey, or Lebanese, Palestinian, and Syrian nationals who had fought in Syria, before returning to Lebanon to form logistical networks assisting suicide bombers sent from abroad. What reinforces the view that ISIS is involved is the sheer amount of money that has been spent on the suicide bombers, including their travel, accommodation, and transportation costs, and the nature of the terrorist gear, since ISIS has access to huge human, material, and intelligence resources compared to other jihadi groups. In the course of the ongoing investigations, the ISIS hypothesis has been further corroborated by the identity of the alleged terrorist fixer Al-Monzer Khaldoun al-Hassan, brother of two jihadis who died in Syria nearly a year ago. Hassan booked the hotel rooms, transported the suicide bombers, and provided them with the necessary equipment. Hassan reportedly has ties to fugitive Palestinian national Ahmed Taha, who is suspected of staging rocket attacks on Dahiyeh and involvement in bringing car bombs to Beirut’s southern suburb, bearing in mind that Taha is likely to be present in Syria where he has pledged allegiance to ISIS. In the meantime, investigators are leaning strongly to separating the case of the suicide bombers caught in the hotels and the case of the perpetrators of the attacks in Dahr al-Baidar and Tayouneh. Furthermore, the vehicle used in the first attack had been brought to Beirut from the Bekaa, while the vehicle used in the second attack had been purchased in Beirut; surveillance cameras did not spot it moving outside the capital, meaning the car had not been rigged in the Bekaa Valley. ISIS intends to stage major attacks, with a view to settle the question of who should lead jihadi groups in its favor. Security officials involved in the investigations believe it likely that the Abdullah Azzam Brigades were indeed behind the attacks in Tayouneh and Dahr al-Baidar. 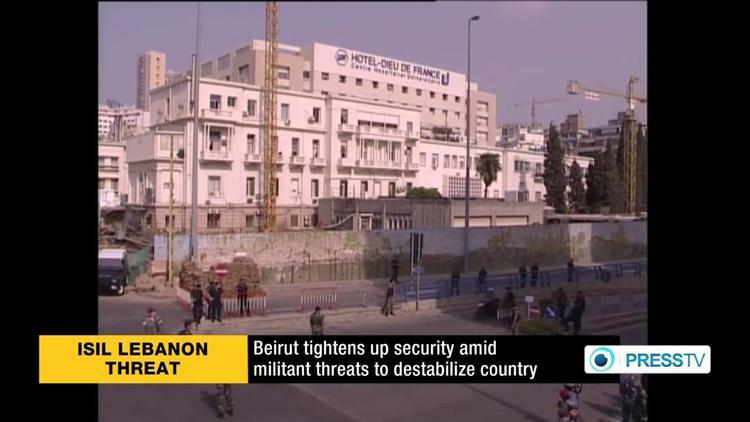 By contrast, the security officials say the would-be suicide bombers intercepted in two Beirut hotels are likely to be part of a plot hatched outside Lebanon, which confirms that ISIS is behind them. The same sources declined to talk about current surveillance operations, but pointed out that ISIS intends to stage major attacks, with a view to settle the question of who should lead jihadi groups in its favor. On Thursday, social media sites were abuzz with an unverified message declaring ISIS was behind the suicide bombers caught in the hotels. Meanwhile, al-Nusra Front military commander Abu Hammam al-Suri has called on all “mujahidin” to prepare themselves to take the fight to “Shia cities in Lebanon” and for a showdown with Hezbollah.